Manufacturer & Exporter of a wide range of products which include Gardening Accessories such as Toothed Disc Blade, Edge Trimmer Blade, Edge Trimmer Head and Toothed Metal Disc Blade. Leveraging on our industrial experience and in-depth knowledge of the field, we have been able to procure a wide range of Toothed Disc Blade that are specifically used for cutting thick grass with hardy, tangled vegetation and effective on flat areas. To suit the varied requirements of the clients, we can also offer the customized solutions to our clients within committed time frame. Our extensive range of Toothed Disc Blade is available in diameter hole of 1.6 mm thick and provided with steel disc blade that are specific for cutting medium to short tangled grass with evenly distributed vegetation on flat areas. 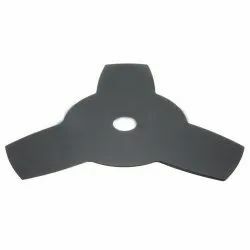 We offer our clients high quality Edge Trimmer Blade for use in grass cutting machines brush cutters. Our Grass Cutter Trimmer Head is manufactured with high grade materials under strict quality control. 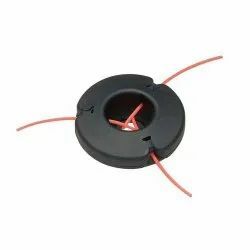 Our Nylon Trimmer Head has central hole for nylon rope, so it does not get defective easily. Our Trimmer Head has long life. Our reputation in the market is largely attributable to our precision-designed Edge Trimmer Head from our extensive collection of products. This head is manufactured using excellent quality raw-material and advanced technology by our skilled professionals. It is suitable for cleaning and cutting grass around obstacles. In order to ensure quality, provided head is stringently tested on different parameters by our experts. Apart from this, remarkable quality and sturdy structure increase the demand of our offered range in the market.